Angel Luis Ramirez, 76, of Milford, passed away on February 7, 2019. Born on June 13, 1942 in Bayamon, Puerto Rico, he was the son of the late Amelia and Pedro Ernesto Ramirez. 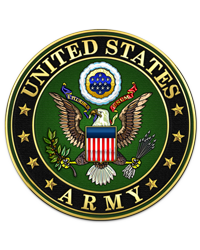 Luis proudly served his country in the United States Army 101st Airborne Division. Following his honorable discharge, he went on to earn a Master’s Degree from University of Bridgeport. Luis retired from SNET and from the State of Connecticut as a psychologist with the Department of Mental Health and Addiction Services. Luis is survived by his beloved daughter, Melissa Antonio; his grandchildren, Michael Harry Antonio, Marissa Nicole Richards and Max JonLuis Richards. He also leaves behind his beloved “Querida” Donna deRecinos and her daughter, Dawne (Greg) Prentiss, her grandson, Grayson; and his former spouse, Raquel “Rachel” Ramirez. He leaves behind his siblings, Iris (Jose) Reyes, Millie (Michael) Sarni, Lydia “Tati” DeJesus, Sandra Sheldon, Maria Ramirez, Angel Antonio (Lucille) Ramirez, Robert (Norma) Ramirez, Carmen (Frank) Cruz, and Pedro “Pete” (Aytxa) Ramirez; his sisters-in-law, Cecilia "Cecily" Ramirez and Robin Ramirez; two Goddaughters and many nieces, nephews and cousins. He was predeceased by his grandson, Blake Christopher Richards, his stepmother, America Ramirez, his stepfather, Juan Fonseca, Sr., and his siblings, Jose “Rocky” Ramirez, Lucia Cruz, Santos Ramirez, Julio Ramirez, Juan Fonseca, Jr. and Zoraida Santiago. Friends and family may call on Thursday, February 14, 2019, from 4 p.m. to 6 p.m. at the CODY-WHITE FUNERAL HOME, 107 Broad St., Milford, CT. A Mass of Christian Burial will be celebrated on Friday, February 15, 2019, at 10:00 a.m. at St. Ann Church (St. Raphael Parish), 501 Naugatuck Ave., Milford, CT (MEET DIRECTLY AT CHURCH). Interment with Military Honors will follow at St. Michael Cemetery, 2205 Stratford Ave., Stratford, CT. In lieu of flowers, memorial contributions may be made to American Cancer Society.